An acrylic two way mirror reflects 70% of light, allowing the rest to pass through. 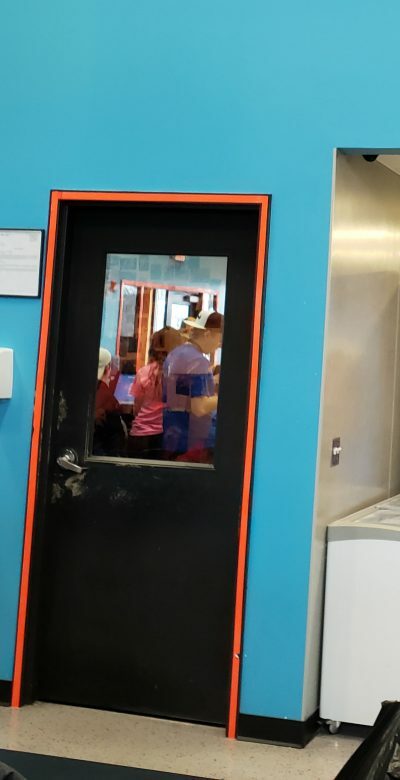 This makes it more transparent and color neutral than a glass two way mirror, It is ideal for security applications where extra strength is needed, or for recording through the mirror. 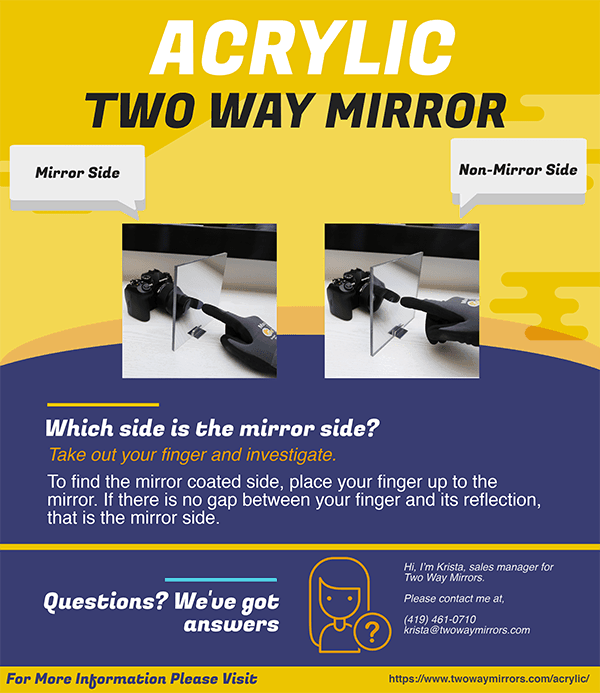 What is an Acrylic Two Way Mirror? An acrylic two way mirror, also known as one way mirror, is a semi-transparent mirror which provides privacy and allows discreet viewing from the darker side. 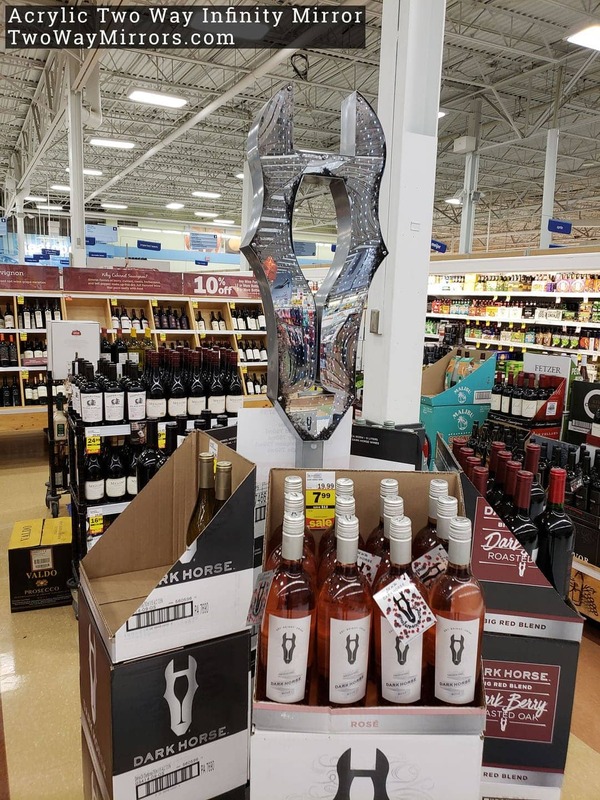 Since it can be installed in either direction, it relies solely on the lighting conditions to show the mirror side. A 1:2 or better light to dark ratio is recommended. The acrylic two way mirror is stronger than glass so there is much less fear of breakage. It also provides excellent visibility through the mirror which is great for recording through. Due to its silver tone, it more closely matches a standard mirror compared to the other two way mirror glass products. It is also much easier to modify if you need to cut or drill into it before installation. Below are images of the acrylic two way mirror installed in a variety of situations. Check out this YouTube playlist of videos we created to help you visualise the product in many different applications. The best way to test the lighting with a small piece is to cut a hole in a large piece of black paper and place the sample over the hole. This will allow you to judge the reflection and see-through qualities in a larger area. For loose debris and dust, you can use compressed (canned) air like you use to clean your computer’s keyboard and ports. For smudges, fingerprints, and stains, use Novus 1 spray and Polish Mate cleaning wipes, which are specifically made to clean acrylic and simultaneously fix small scratches. If Novus 1 and Polish Mates are unavailable, 50% isopropyl alcohol (lens cleaner) and microfiber cloth can be substituted. Acrylic is strong, so they can easily be shipped and won’t break in transit. Our mirrors are fully insured and packaged in custom boxes and wrapped in strong, flexible packing materials to ensure that they’re well-protected during transit. Quality Guarantee: We offer an easy 60-day return policy for our acrylic mirrors. Does the Acrylic Two Way Mirror Pass the Fingernail Test? The fingernail test is where you check to see if the mirror coating is on the front. On a standard mirror this is NOT the case, the mirror coating is on the back. So there should be a gap between your finger and its reflection. If there is not a gap, it likely is a two way mirror! 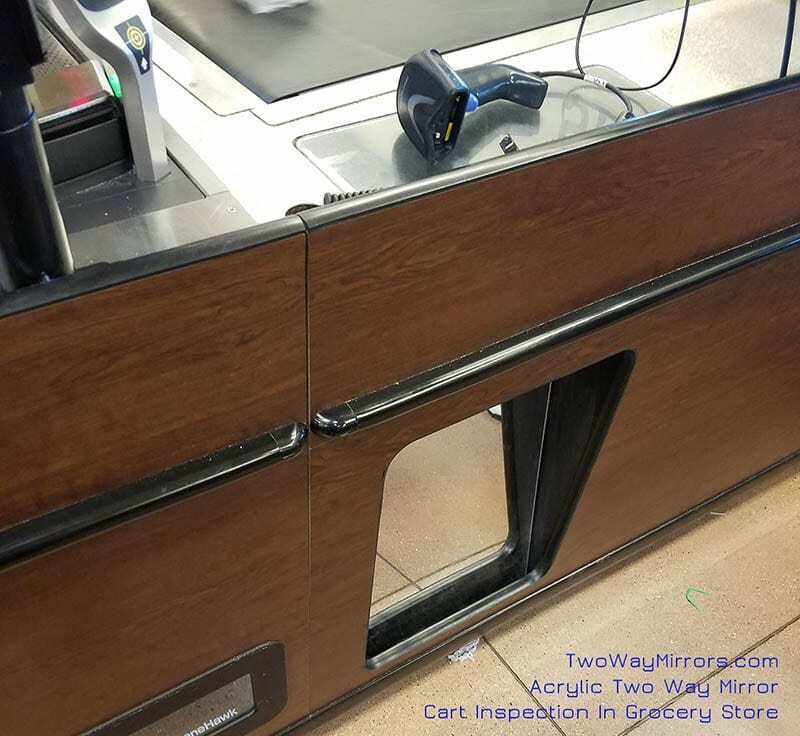 However, not all two way mirrors fail this fingernail test: the acrylic can be installed in either direction so this test would not detect the mirror. See my video for other ways to detect a two way mirror. Can you drill holes in the Acrylic? Drilling a hole into an acrylic two way mirror for mounting purposes is easy to do. You can simply use a standard drill bit to make the hole. For the best result, you will want to drill from the mirror side to the non-mirror side to avoid chips. Click the image to the left to see how the hole is drilled. How does a two way mirror work? 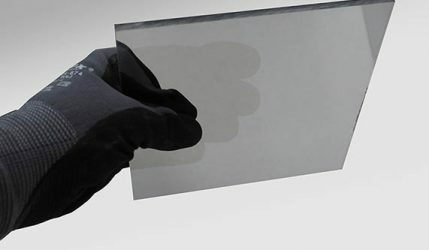 A two way mirror, a mirror that is transparent on one side and reflective on the other, is created by placing a layer of semi-transparent film of aluminium on an acrylic substrate. This allows a percentage of light to pass through and reflects the rest. We have all seen a cop drama TV show or film in which a criminal suspect is interrogated while police watch from behind a mirror. Why can’t the suspect see those watching him behind the mirror? The answer lies in the level of lighting in both rooms. The room the suspect is in is kept very brightly lit, so that the light in the room reflects off the mirror’s surface. The observation room containing the police, on the other hand, is kept dark, so that little to no light gets through the glass. 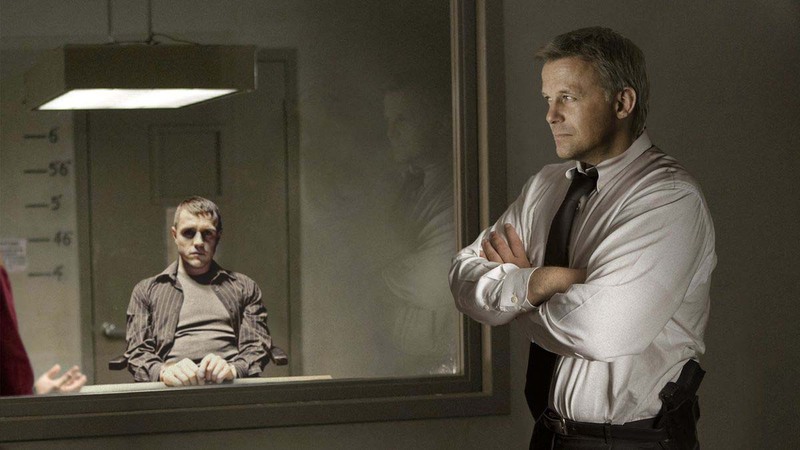 As a result, the suspect sees only his own reflection and the police see into the suspect’s room clearly. If the lights in the suspect’s room were suddenly turned out, or the lights in the observation room suddenly turned on, then the two way mirror would become a window. It’s the same sort of effect you see in a mirrored office building at night — if there is a light on in one of the offices, you can see into that office just fine. How strong is an acrylic mirror? Our 1/4″ thick acrylic mirrors can easily withstand a high-speed impact from a blunt object such as a hammer. They will still scratch like regular acrylic, so you should handle them with care. 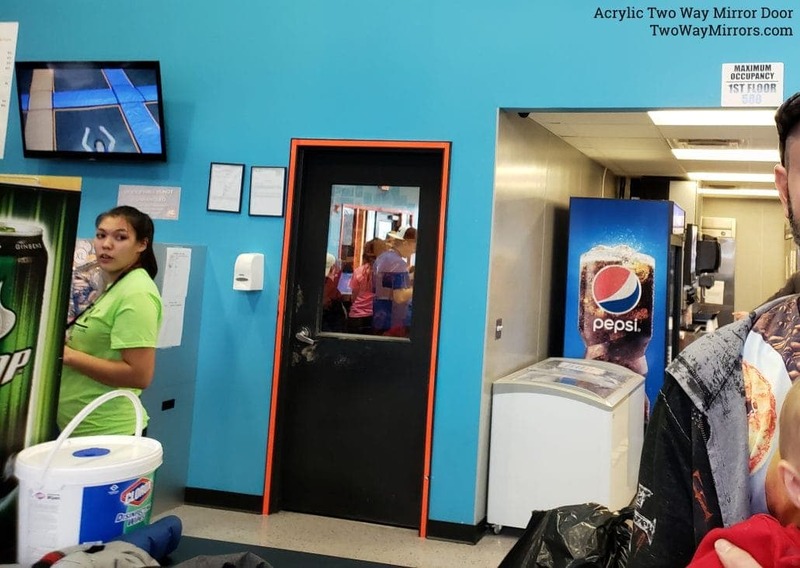 Does the Acrylic Two Way Mirror look like a regular mirror? When placed in front of a display or a pitch black room, they are a close match to a regular mirror. How do I figure out which side is the mirror side? The easiest way to figure this out is to put your fingernail against the mirror. If there is a gap between your finger and its reflection (i.e., you can see the entire tip of your finger in the mirror), it is the uncoated side. If there is no gap between your finger and its reflection, it is the coated side. The amazing thing about acrylic two way mirrors is that they can be installed in either direction. In some cases you will want to flip the mirror so the mirror coating is protected more from touch/rubbing/the elements. What kind of glue or tape can I use? It’s important to only glue the edges or the non-mirror side. Most adhesives and tapes will remove the mirror coating if you accidentally apply it to the mirror side. If you are applying it to the non-mirror side, it can be glued or taped just like regular acrylic. Rubber cement offers a strong bond to many surfaces, and can be used around the edge. Please try adhesives with a product sample before experimenting with your purchase. 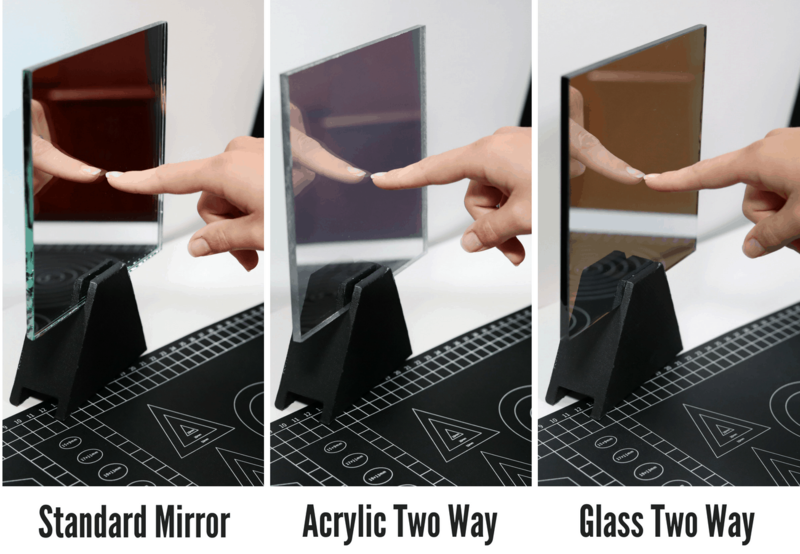 How well does the Acrylic Two Way Mirror work for a smart mirror diy project? The acrylic has the clearest picture quality for bathroom smart mirrors. We also offer it in glass, which is our VanityVision Smart Mirror product. See our DIY Smart Mirror guide for more details and comparison images. What chemicals should I avoid using on the acrylic two way mirror? 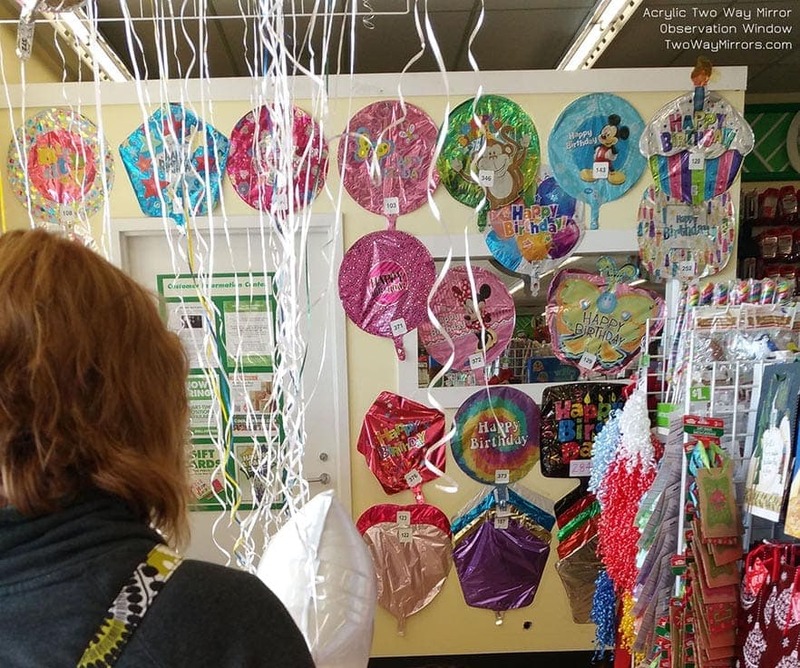 Like all plastic materials, mirrored acrylic will react when exposed to certain chemicals. 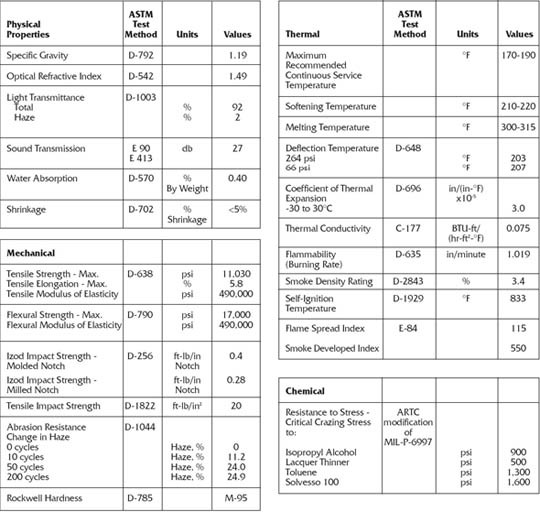 Below is a partial list of chemicals known to react with acrylic mirrors; exposure to them should be avoided. External factors such as fabrication stresses, exposure to loads or changing temperatures, and the method of application can influence the possible reaction as well. Care should be taken with dry chemicals or solvents used near the mirrored acrylic at all times. How much does the Acrylic Two Way Mirror weigh? What is the difference between the 1/8″ and 1/4″ thicknesses? The increased thickness of the 1/4″ gives it a lot more rigidity, so you’ll get a less bendy reflection in larger sizes. It is also better to use the 1/4″ acrylic in situations in which someone might attempt to break it or fall through it, such as in an interrogation or observation room. The 1/4″ acrylic also is much better for mirrors above 24″x24″, because the 1/8″ acrylic tends to get quite floppy and unmanageable in the larger sizes. The 1/8″ is better when replacing single pane windows or fitting into a 1/8″ channel. How can I cut the Acrylic Two Way Mirror? The mirrors come with a protective laminate on both sides. You can leave the laminate on and cut it using a table saw with a fine toothed acrylic blade (available online). Can the Acrylic Two Way Mirror be used outside? Provided the mirror side doesn’t get wet or exposed to high humidity, they can be used outside. What can I use to black out the back side of the Acrylic Two Way Mirror? You’ll want to use a black, non-adhesive backing with a hole it the same size or smaller than your camera lens. Alternatively, you can paint the non-mirror side black except for the lens area. Don’t Have Time to Read Everything Now?